Emma Livermore, Branch Manager at our Norwich travel agents in store at Jarrolds, took a cruise on board Magellan. Having been impressed with the Cruise and Maritime Voyages staff, she can recommend the cruise line along with this fantastic destination. We were allocated a category 10 superior twin ocean view cabin. It was a good size and, because the beds were positioned in an L shape, it gave us a lot more space than other cabins of the same size. The bathroom was reasonable; there was good wardrobe space with hangers, a safe and tea and coffee making facilities too. I couldn't really fault the cabin - it had everything we needed, it was clean, the beds were very comfortable and our cabin steward always seemed to be around if we needed him for anything. Because we were on deck six, the cabin had a large window with a clear view. All meals were included throughout the trip as the cruise was on a full-board basis. 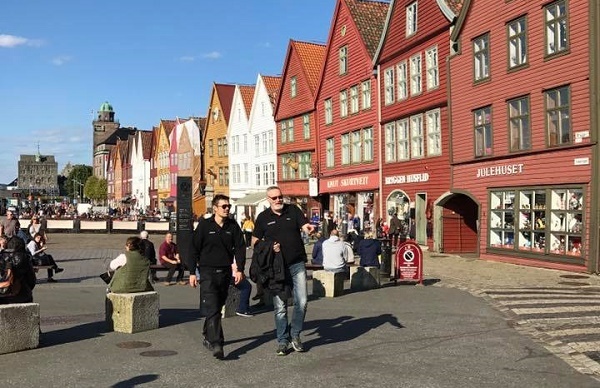 We also had an excursion included in every port and some little extras like a sail away party, during which we had the sun terrace reserved for just our group and they served hot drinks with liqueurs as we sailed from Bergen. We also had a demonstration on how to make towel animals and a cocktail making class too. We rarely needed to pay for anything throughout the trip; they looked after us really well. I haven't really got one favourite part. The destination of Norway was absolutely stunning and I would say visiting the country as a whole was my favourite bit. We had some fantastic excursions included. 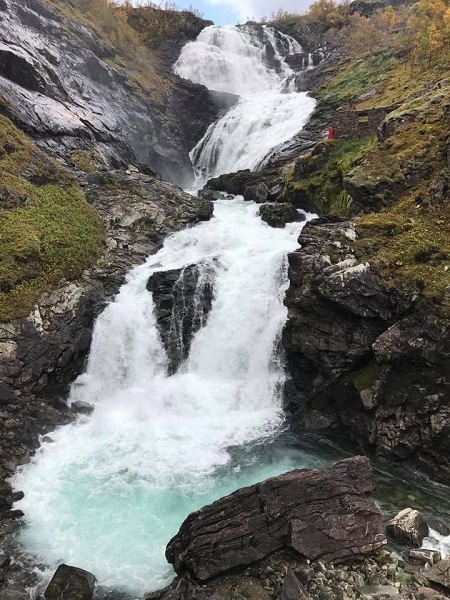 We went to the Voringfoss waterfall in Ulvik; we did the Flam Railway; in Alesund, they took us to a museum to see how the Vikings lived; we stopped at a popular viewing point to see the stunning views over the Norwegian Fjords; and we ended the cruise with a trip on the funicular railway with views all over Bergen. To be honest, I really don't think there was anything that could be improved upon. The ship and staff were fantastic, we saw some amazing scenery and the excursions ran smoothly too. Food and service were exactly as you would expect and the entertainment was great. I would certainly recommend this trip - CMV offers departures from local ports on smaller to medium sized ships. I thought, for the price you’ll pay, it was excellent value for money. The food on board was really tasty and there was a good variety available throughout the day. Drinks prices were very reasonable and there are various drinks packages that you could add on too. There were lots of public areas around the ship and places to sit, the entertainment was good and lots of activities were available throughout the day. We were unfortunate enough to have two port changes while we were on board, due to bad weather. I thought CMV handled this brilliantly. Our first port was supposed to be Eidfjord, but we couldn't get into the fjord because of the wind. Instead, the crew managed to get us into Ulvik, which was about 40 minutes’ drive from Eidfjord and the entire ship was able to still do the planned excursions. 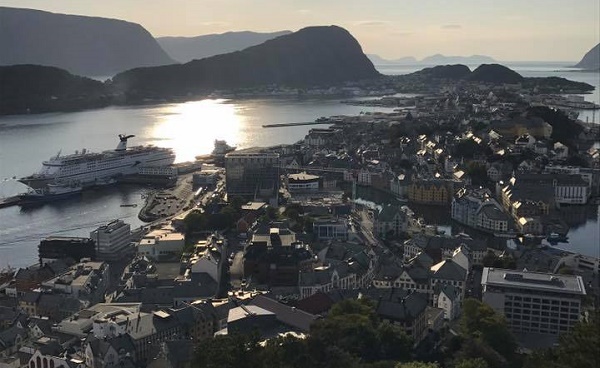 We then couldn't go to Geiranger, again, because of the winds in the fjords but, again, the staff managed to get a replacement port and we went to Alesund instead. Not only this, but they managed to put together a good range of excursions at short notice too. I was really impressed with how they managed to do this while trying to keep as little disruption as possible. 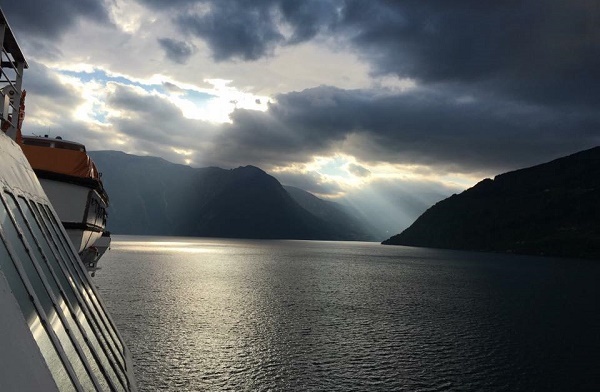 If you would like to plan your own cruise, to the Norwegian Fjords or any other region of the world, we can offer some great advice. We work closely with the best cruise lines in the industry and will find the perfect ship and itinerary for you. Drop by and see the team in one of our East Anglia travel agents or any of our stores along the south coast.